Pope Francis is like no other – from his empathy to bluntness, the pope does not shy away from making sweeping statements. In the four years since he took charge as the 266th pope of the Roman Catholic Church, the pontiff has spoken on a variety of issues – from emphasising with refugees, terming child abuse by priests as “satanic mass” to ordering cardinals to not act like royalty. Pope Francis has managed to break stereotypical nuances with his compassionate, realist, and blunt attitude. “Barriers create divisions instead of promoting the true progress of peoples, and divisions sooner or later lead to confrontations,” the Pope said. Leading by example, the pontiff took in three Syrian refugee families to Rome on his plane. The pontiff has called for “severe punishments” in child abuse cases related to the Church. ‘Better to be an atheist than hypocritical Catholic,” states the pontiff. Pope Francis has on many occasions stressed on conscience and intents – often highlighting the hypocrisy in Catholics when practising religion. The Pope declared Big Bang and Evolution theories ‘real’ in 2014. “When we read about Creation in Genesis, we run the risk of imagining God was a magician, with a magic wand able to do everything. But that is not so,” declared the Pontiff. “Populism is evil and ends badly as the past century showed,” the pope warned. 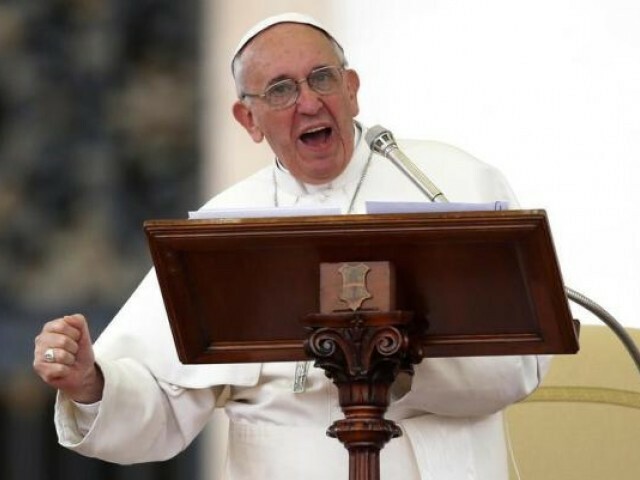 Speaking about the growing populism in the United States and Europe, the pope said that “crisis provoke fear, alarm. In my opinion, the most obvious example of European populism is Germany in 1933”, adding that people who were “immersed in a crisis, that looked for its identity until this charismatic leader came and promised to give their identity back, and he gave them a distorted identity, and we all know what happened”. “In times of crisis, we lack judgement, and that is a constant reference for me… That is why I always try to say: talk among yourselves, talk to one another,” Pope Francis said. The Pope likened writing fake news to being sexually aroused by filth.